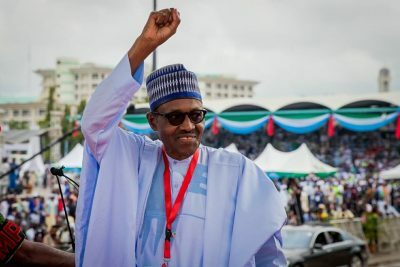 At least 7,000 delegates will on Saturday (today), ratify President Muhammadu Buhari’s nomination as the candidate of the All Progressives Congress (APC) in next year’s election. Kashim Shettima, governor of Borno state and deputy chairman of the APC presidential convention planning committee, said the delegates will converge at the Eagle Square, Abuja, for the ratification. Shettima made this known while briefing reporters on the party’s preparations ahead of the convention. The delegates are drawn from the 36 states of the federation and the federal capital territory (FCT), Shettima said. He disclosed that the convention committee on security was working closely with security agencies to ensure a hitch-free exercise. Shettima added that the transport committee was making arrangements to reduce to the barest minimum, inconveniences it might cause Abuja residents. “We moved the convention time from 9am to 2pm deliberately to accommodate delegates that are coming from far and near,” he said. Shettima said the presidential convention was to ratify the nomination of Buhari as the APC presidential candidate for the 2019 election. “Let me assure you that the nomination and ratification of the candidacy of President Buhari is a commitment to service, progress and quality change,” he said.